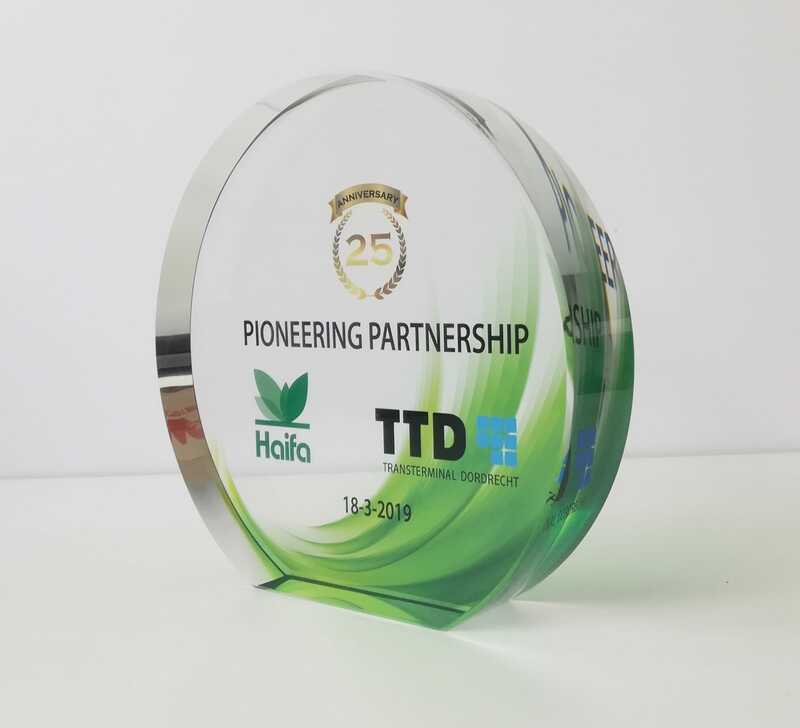 Yesterday we celebrated our 25 anniversary of the strong business partners between Haifa North Wes Europe and TTD logistic terminal. It’s always nice to celebrate successful milestones and activities and in this case it is a real special occasion that we are pleased to highlight. In 1994 we started working with TTD. They were there with us when we established Haifa North West Europe and started to serve the Benelux market. Basically our businesses grew together. It is for me beyond regular business relationship. It’s more like a family. They started to invest in activities that supported our activities and growth in the specialty fertilizer market in North West Europe. TTD’s invested in developing the terminal and their logistics capabilities and become top experts in handling specialty fertilizers. The quality that comes out of their terminal is excellent. It perfectly fits the Haifa top quality standards. This is an outstanding advantage for both of us and this is what synergic business partnership is all about. The establishment of the innovative My Multifeed™ service is one of the peak examples for the symbiotic relationship between our companies. Going through the automatization process and the mutual software development is not only a huge competitive advantage but a notable mark of pioneering and innovation.